All four victims in the deadly Everglades plane crash were found and identified. Now investigators are trying to figure out what led to the collision. Rescue crews say they have found the fourth victim of a deadly collision between two small planes over the Everglades in Southwest Miami-Dade. 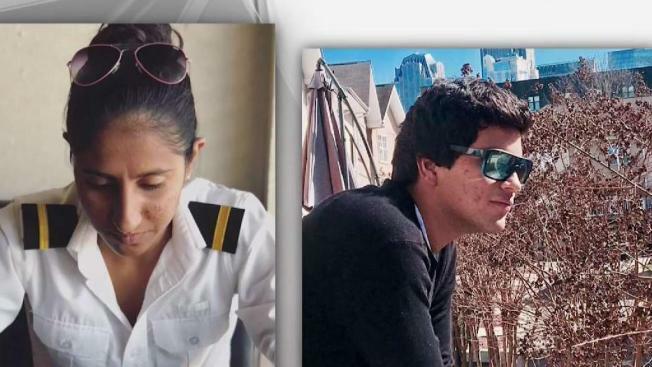 Miami-Dade Police Detective Alvaro Zabaleta said the person found after crews resumed their search Wednesday morning near Southwest 8th Street between Krome Avenue and the line with Collier County was 22-year-old flight student Carlos Zanetti. The collision happened around 1 p.m. Tuesday about nine miles west of Miami Executive Airport, officials with Miami-Dade Fire Rescue and the FAA said. Three victims – 22-year-old Jorge A. Sanchez, 72-year-old Ralph Knight, 72; and 19-year-old Nisha Sejwal – were identified immediately. Zabaleta said federal investigators on the scene confirmed all three were experienced pilots. The wreckage of both planes had the name of local flight school Dean International on their sides. The school, which is based out of Miami Executive Airport, has been involved in a number of incidents involving planes, most recently a crash in the Everglades in May that left two hospitalized. NBC 6 last year obtained reports by the National Transportation and Safety Board and Federal Aviation Administration of downed planes from the school. Since 2007, a total of 29 accidents or incidents had been documented, including five fatalities, before the two cases this year. After two crashes in 2017 – one where a pilot was killed after crashing in the Everglades and another where two people were not injured following a crash landing in Key Biscayne – nearly 80 percent of the company’s 50 planes were taken out of service to deal with issues ranging from routine maintenance to faulty beaks, loose and missing screws and more. Both the NTSB and the FAA continue their investigation into the latest crash. NBC 6 reached out to the owner of Dean International Flight School, but has not heard back.